These whole wheat caramel muffins are such an easy and delicious treat, and yet, they are rather on the healthy side. Isn’t that good news? Well, at least they are made with whole wheat. There are certain flavors that just go so well with whole wheat – such as chocolate or caramel. I just recently made these Whole Wheat Triple Chocolate Muffins with Blackberries, also really easy and soo good. The nutty full flavor of the whole wheat flour really brings out the caramel (or chocolate) and works almost as a flavor enhancer. 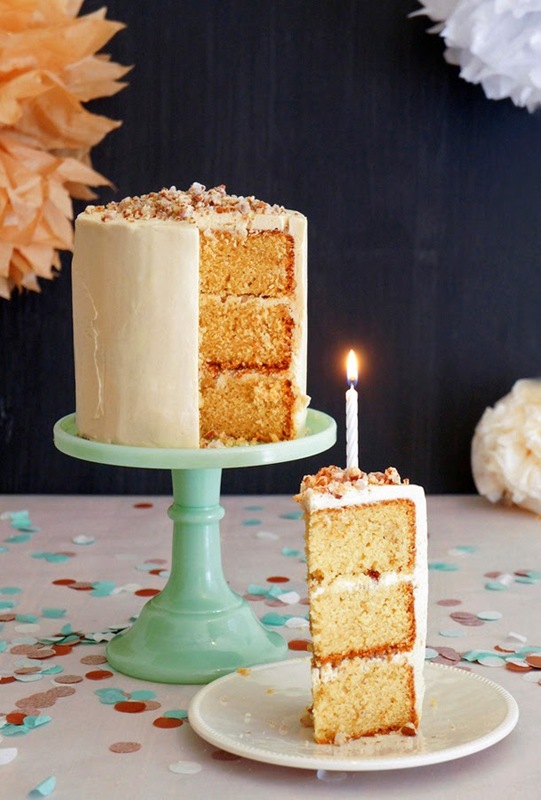 Brown sugar and butterscotch are the secret ingredients for the caramel flavor. Doesn’t that sound good? I have to admit that I have never ever before ate or made any pie pops. Never! But how could I? I definitely missed out on something! So I just had to finally give it a try. 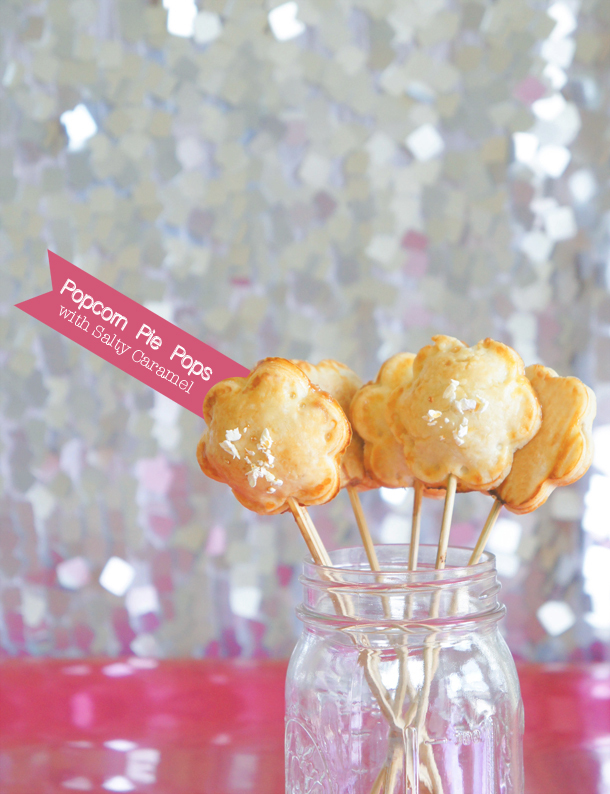 I have also been wanting to bake something with popcorn for a while and then, one day, it dawned on me: Pie pops filled with salty caramel popcorn! And what can I say, they are a-mazing. I ate FIVE pie pops right off the sheet before they even cooled down… couldn’t help it.